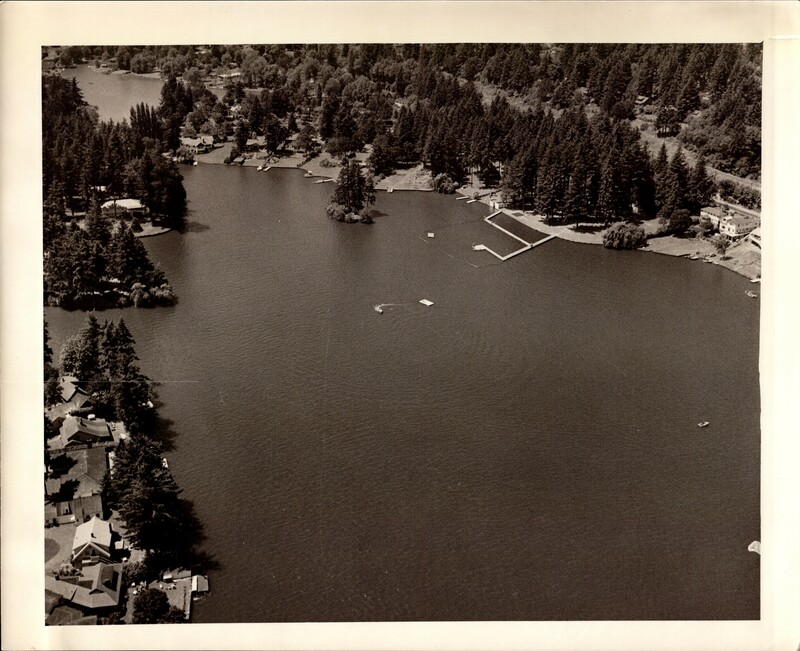 Description An aerial photograph of the west end of Oswego Lake. In the upper left corner is West Bay. Lake Grove Swim Park is located on the north shore in the picture. Lakeview Boulevard runs across top right corner of the photograph.